ID theft recovery kit to aid in the restoration of you identity. Toll-free access to a dedicated consumer fraud specialist, who will work with you on the specific details of your case, assist you with the appropriate paperwork and work with credit bureaus on your behalf until your case is resolved. Debit and credit card registration to reduce your personal liability on lost or stolen registered cards. Total Identity Monitoring continually monitors over 1,000 no-credit databases where identity theft could be evident and helps discover instances of identity theft in children, which would not be covered by credit bureaus. Credit Watch Gold 3-in-1 Credit File Monitoring1 which provides daily monitoring and automated alerts of key changes to Equifax, Experian and TransUnion credit reports. Also includes a free 3-in-1 credit report and unlimited access to Equifax Credit Report. Up to $5,000 identity fraud expense reimbursement2 coverage for expenses associated with clearing your name and repairing damaged credit should you fall victim to identity theft. Coverage includes wages lost for time taken off work to correct personal records; and reimbursement for costs associated with attorney fees, loan application fees, long distance calls, certified mail and notarized fraud documents. 1 Credit file monitoring services are provided through Equifax Credit Watch™ Gold. Equifax, Equifax Credit Report, and Equifax Credit Watch are trademarks of Equifax, Inc. Equifax's credit monitoring products are protected under U.S. Patent No. 7,028,052. Insurance Product: The description herein is a summary only and does not include all terms, conditions and exclusions of the policy described. Please refer to the actual policy for complete details of coverage and exclusions. Insurance is offered through the company named on the certificate of insurance provided at account opening. Insurance products are not deposits; not NCUA insured; not guaranteed by MACU or any affiliated entity. MACU's high-yield CD will plump up your piggy bank with a 2.22% APY! 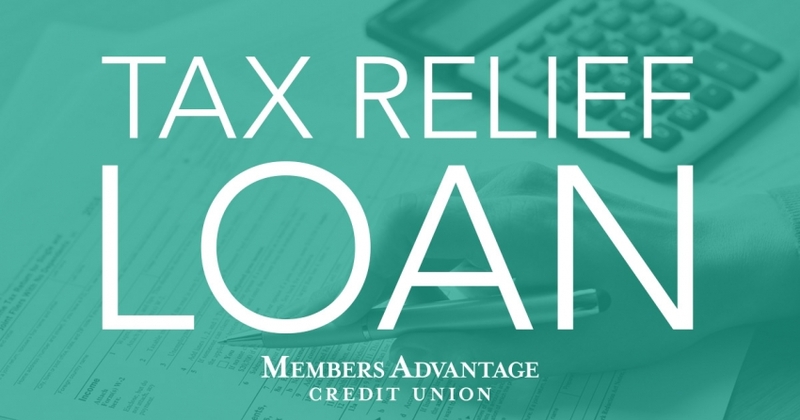 A low-interest $1,000 MACU tax relief loan can ease your tax burden and keep you from paying tax bills with high-interest credit cards, and you have 12 months to pay it off! Adventure awaits with a MACU auto loan with rates as low as 1.99%*! Start your next adventure with that new car or truck you've been dreaming about. $25,000 - $49,999 - 0.864% A.P.Y. | $50,000+ - 0.914% A.P.Y. $5,000 - $9,999 - 0.592% A.P.Y. | $10,000 - $24,999 - 0.612% A.P.Y. | $25,000 - $49,999 - 0.642% A.P.Y. | $50,000+ - 0.642% A.P.Y.